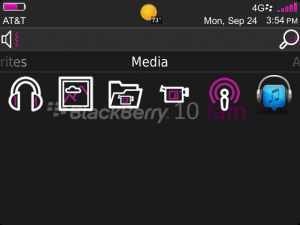 Theme Jammin for 9790 OS7 - BlackBerry Jam Americas is upon us and The World Of Pootermobile has bakes quite a goodie for you! 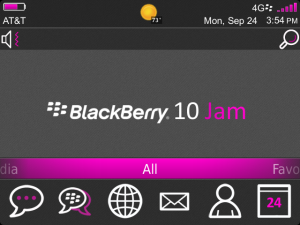 What better way to celebrate the first annual BlackBerry Jam American than with a slick theme? 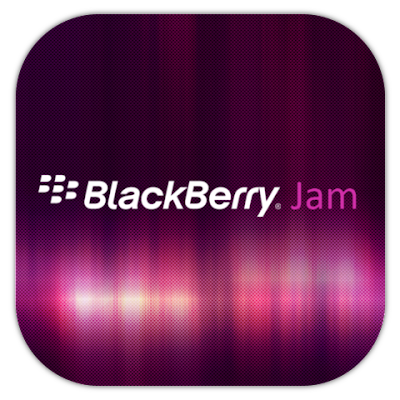 Show off the "Jam" purple on your BlackBerry at the conference, or if you're not attending show support to the awesome developers that make a big part of what BlackBerry is. And just in case you missed the conference this theme is a keeper for any occasion as well! 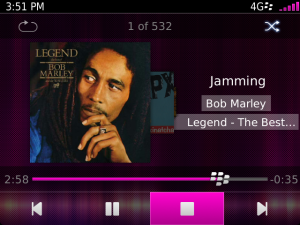 Download today and get jammin'! Weather slot how-to: The icon that shows up in the top right of the banner is app number 19 in your app list. Move whatever icon you want up there to position number 19, then do a battery pull so the change can take effect. A battery pull is necessary there really isn’t a way around that.